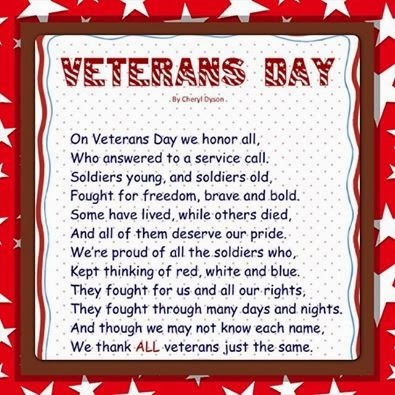 Special Thank You to Our Veterans! I want to take time today to share a special THANK YOU to all of our Veterans! Through your courage and sacrifice you allow my family to live in a country of freedom. God bless you for all that you do. You are all truly heroes! Previous postKohl’s 15% Off Printable Coupon! Next postHuge Printable Coupon List for Your Thanksgiving Foods ~ Honeybaked, Imperial, Pillsbury, Butterball & More!